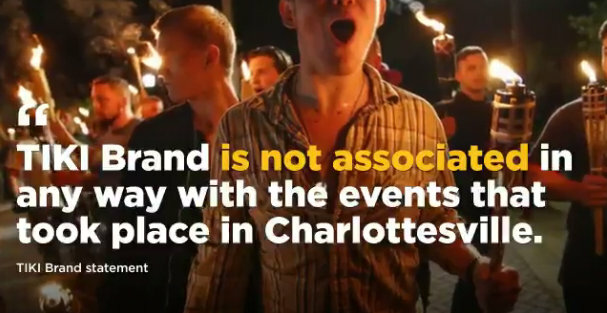 Tiki Brand Denounces Torch Nazis - Joe.My.God. Tiki Brand, which has 70 employees and is owned by Lamplight Farms Inc. of Wisconsin, said its torches are intended for positive events. “Our products are designed to enhance backyard gatherings and to help family and friends connect with each other at home in their yard,” the company said.